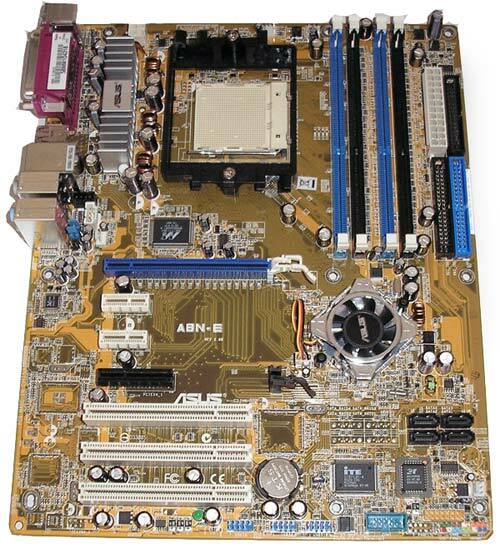 Running through the price lists, you get the impression that soon motherboards for Socket 939 built on chipsets other than those of the nForce4 family will be extinct. 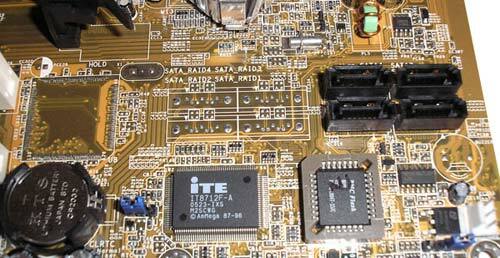 While the first implementations of this chipset family in motherboards looked a bit too expensive, today they are making their way to the market of lowest-end PCs. 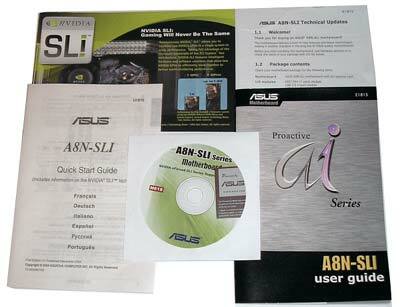 An example of that could be ASUS A8NE-FM/S, ECS nFORCE4-A754 and others priced below 75$. 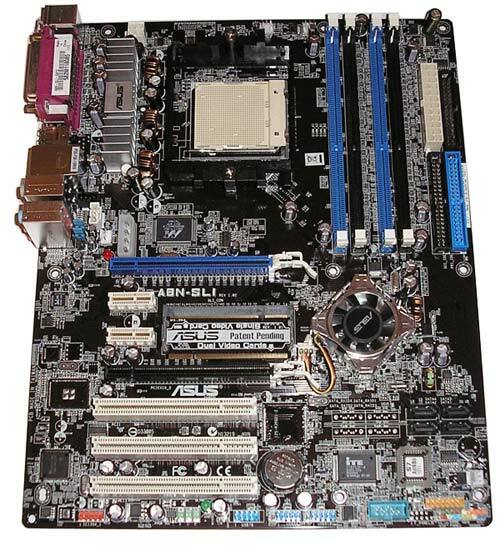 In view of the wide availability of inexpensive boards to any taste, the buyer increasingly has to choose among varied implementations of this popular chipset. Managers and sales assistants often advise the buyer to take "Ultra" as being allegedly faster. Is that really true? That is why decided to verify in practice - moreover, to prove some theoretical findings. Let's recall the specific features of the chipsets being reviewed (according to the manufacturer's data). All the three chipsets are being positioned as the basis for building high-performance systems for advanced gamers, overclockers and power users. Among the not yet listed, only nForce4 falls within the sector of mass PCs. So, which distinguishing features of the chipsets may affect the performance? Since the memory controller is embedded in the processor, this subsystem should not depend on the chipset - it can only be affected by the BIOS flaws - both in the development and setup. 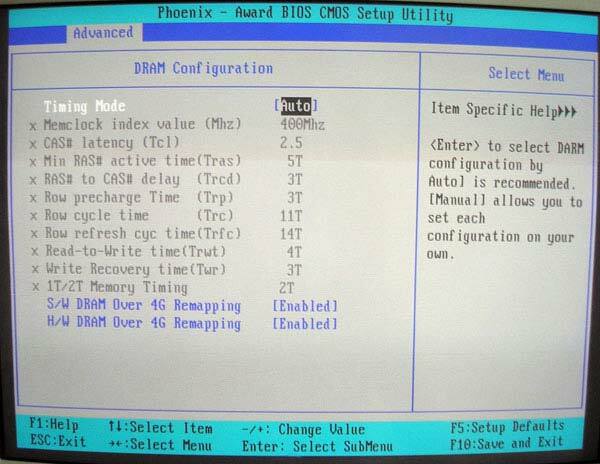 In other words, if during the system start-up the BIOS launched the memory modules correctly and did not introduced any additional delays into their operation, it does not matter which chipset a motherboard is built on - the memory operation speed will be the same. The performance can be somewhat affected by the bandwidth of the HyperTransport bus which is in charge of communication between the processor and the system, but in almost all of the modifications the controller of this bus runs at 5x speed, i.e. 1 GHz. It should be noted that there are motherboards built on the nForce4-4x chipset not included into the table which stands out with the HyperTransport controller slowed down to 800MHz. That should not be of special concern since such motherboards are aimed at the lowest-end solutions where performance is normally not an issue. At the same time, the 6.4 GB/s bandwidth is normally more than enough. That is in fact the theoretical bandwidth of two DDR-400 (PC3200) modules in the dual-channel mode which in practice is unattainable, that is, with active data swapping from the system to the memory or vice versa the 6.4 GB/s should be quite enough. 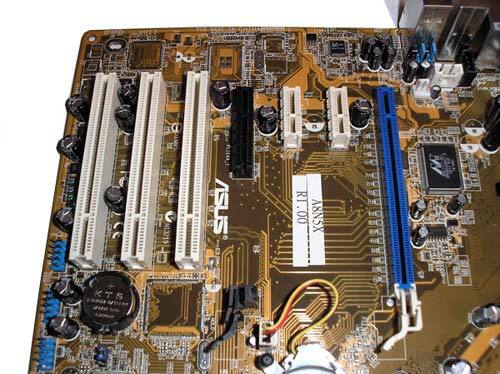 We should keep it mind that nForce4-4x is more often used in motherboards for Socket 754 where the memory controller is single-channel, thus its requirements are twice as low. It turns out that even with the slowed down HyperTransport the processor should not run slower. There is no special performance difference seen among different modifications of nForce4. Anyway, each has its pluses which are able to affect the system performance. Indeed, compared to the regular nForce4, the positive aspects of nForce4 Ultra are support for SATA-300 hard disks and hardware ActiveArmor firewall. Unfortunately, most users will not be able to enjoy the the effectiveness of these features to the full. First, hard disks with the interface like that have not yet proved popular, and it still doesn't give a noticeable speed boost in running disk operations. Secondly, the hardware firewall will unload the processor (so that the user could see that) only if resource-hungry applications are run on top of high network activities, but that is not a frequent occurrence. nForce4 SLI Ultra primarily stands out with its support for two video cards to increase performance in games. That's an irrefutable plus! It's a pity that for most users it will still remain potential and will always be like that. We'd rather not go deep into the details finding out WHY, because that is a separate discussion. That's about all the differences of the chipsets which may affect the system performance. Not very much, is it? In other words, most systems based on varied modifications of nForce4 should offer similar performance. Now we are moving on from theory to practice. 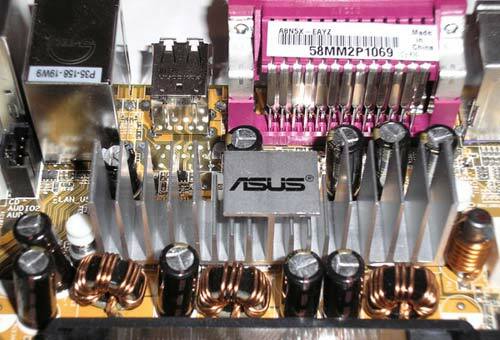 Let's look at the live chipsets on the example of inexpensive motherboards by ASUS. To compare performance and estimate the overclocking capability, as well as the serviceability of motherboards, we used two processors - Athlon64 3200+ (Venice) and Athlon64 3800+ (NewCastle). Since more interesting results were shown by the former, we are bringing in just them, because this processor is more common in entry-level systems (we are taking the level of boards being tested into account). To minimize the effect of the memory upon the overclocking results, we took Corsair CMX512-3200XLPRO 2-2-2-5 memory modules of 512 MB capacity each. The remaining components of the test-bench: cooling system - GlacialTech Igloo 7200 Pro, video card - Gigabyte GV-66T128D based on GeForce 6600GT, hard disk - Samsung SP0812C, PSU - Chieftec HPC-420-102DF 420W. 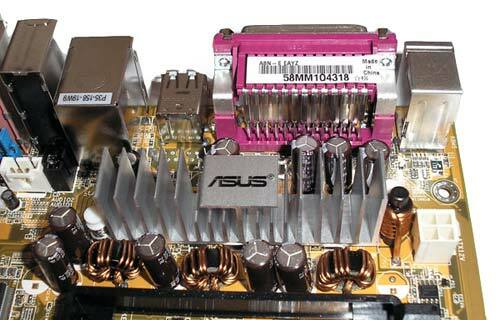 - PCIe frequency: within 100 MHz to 200 MHz in 1 MHz increments. 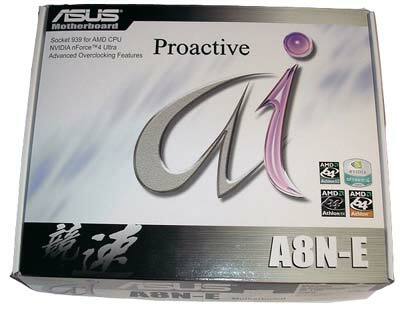 The board is shipped in a package standard for all the AI Proactive series. 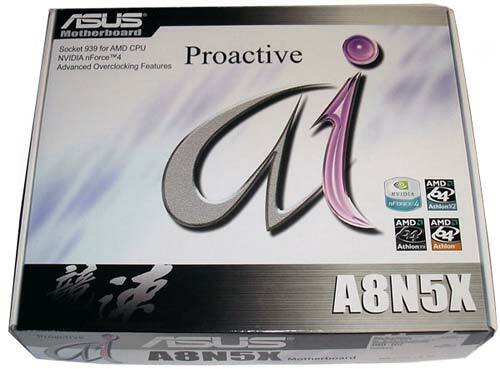 The package bundle is not rich, even for a value motherboard. 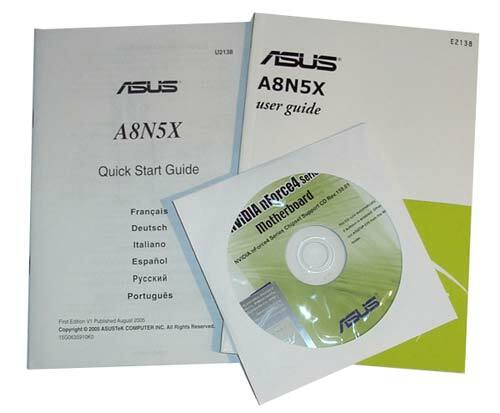 Additionally to the large user manual and the drivers CD, there is a thin leaflet containing a brief system assembly guide in the Russian language. To acquire the remaining data, it's better to know English. The board's layout is excellent - engineers at Gigabyte have made a good job. There is almost nothing to complain about the components layout. Of interest is the sticker with the name and revision of the product. The thing is that the board is built on the PCB of a different series, used is the base taken from A8N-E, only the chipset has been replaced (you can try finding the differences in a bit below). The chipset itself is covered with a decorative radiator to save against overheating and is blown by a mid-noise fan (rotational speed 4500-5000 RPM). During operation, the radiator heats up immensely, especially in an overclocked system, but that doesn't prevent the system from stable operation - the system copes well with the job. Anyway, a high full-featured radiator and a fan of lower rotational speed here would be right in place. The three-phase scheme of the power control module is covered with a radiator that effectively spreads heat that comes from all the heated components. 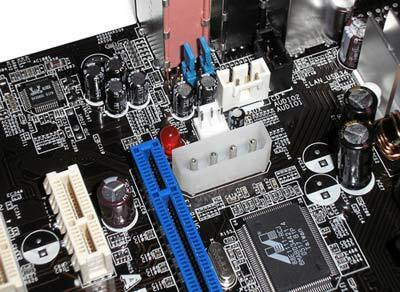 The power supply connectors are placed conveniently on the board: a 4-pin connector on the upper corner near the VRM, and a 24-pin connector in the upper right-hand corner. 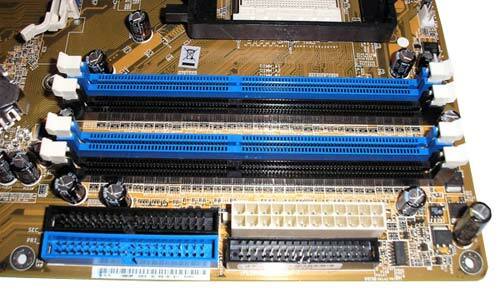 The memory slots are of different colors, which facilitates switching the modules to a dual-channel configuration. There is a minor shortcoming in their positioning close proximity to the video card's connector. Access to the IDE connectors won't be an issue - the primary and secondary controllers are marked in different colors. A bit below, there are SATA connectors. As you can see, an additional RAID controller is missing and perhaps will never be unsoldered - that is a value-level solution. The expansion capabilities have already been listed in the table, and this is an illustration of plausibility of data presented over there. Unfortunately, there are many empty spots on the board. We already told about the lack of RAID solutions as having little use in value PCs. Also forgivable is the missing controller for voice notifications and the second network adapter, but we say it's a pity there isn't a IEEE 1394 controller. In fact, its addition wouldn't have been much of extra cost but would make it more competitive. The rear panel of the input/output ports looks as having middling functionality. Annoying is the lack of a COM port since its place is taken by a non-implemented FireWire. 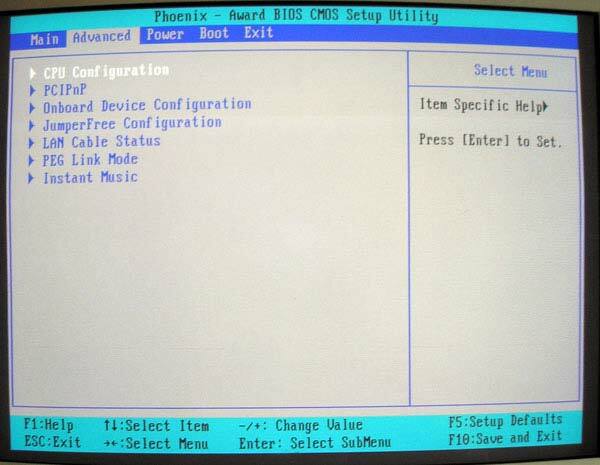 The BIOS is based on the Award Phoenix code, and doesn't stand out with any special features from other ASUS boards. 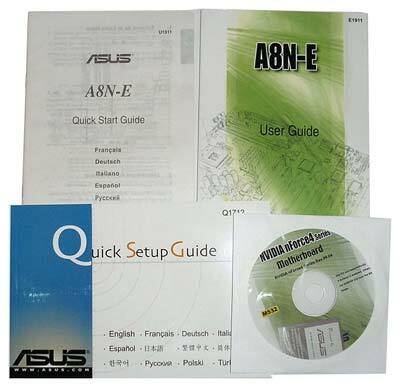 Here we could note the proprietary ASUS Multilanguage BIOS, but there is no Russian in the list of languages - German or French languages are of little help at understanding the settings. 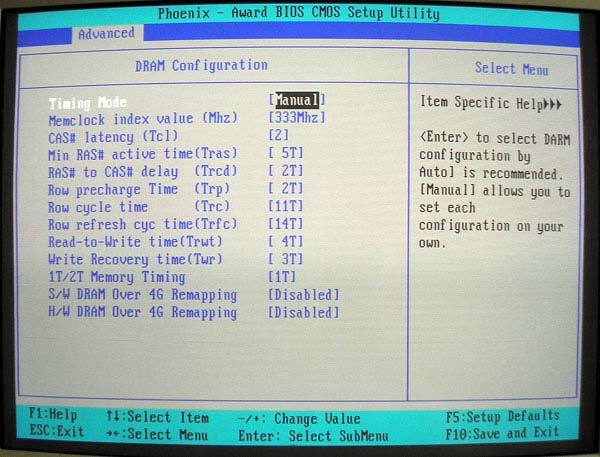 The "Advanced" menu may be interesting to most users owing to the three items: CPU Configuration (setting up memory and HyperTransport bus), JumperFree Configuration (fine tuning of the frequencies and voltages of memory, processor, and PCI-Express), and Onboard Device Configuration (setting up integrated peripherals/hardware). There is an abundant choice of memory settings. 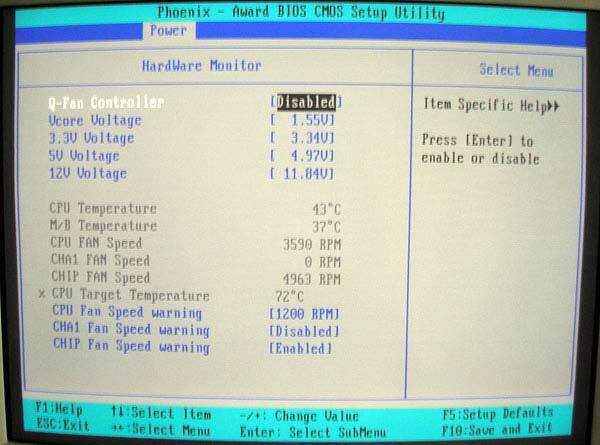 On the photo below, you see the pre-overclocking settings. The memory operating frequency has been intentionally reduced to 333 MHz in order to make the most of the processor's operating frequency. 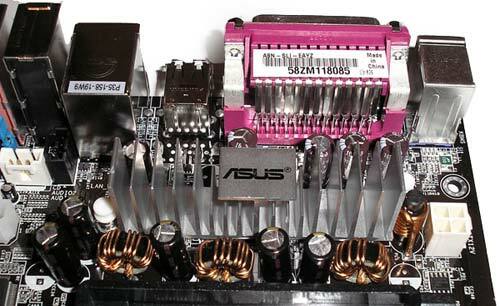 Adjust the CPU supply voltage within 0.800-1.550V in 0.025V increments. Monitored are also CPU voltages as well as 12.3V and 3.3V lines, temperatures of the processor and the board itself and rotational speeds of the fans cooling the processor, chipset and the first housing. We were able to make Athlon64 3200+ (2000 MHz) run stably at 2500 MHz. That result is acceptable albeit not the best, although we used the first processor that came across - we did not choose the model for overclocking. Perhaps that is just the limit for the given processor. 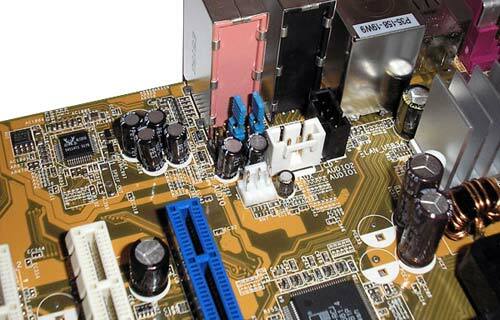 Among the important pluses of the board are its price and high overclocking capability. Among the cons is the lack of IEEE 1394 controllers and under-bundling. - NVRAID: RAID0, RAID1, RAID 0+1, and JBOD with the possibility to merge SATA and PATA disks. 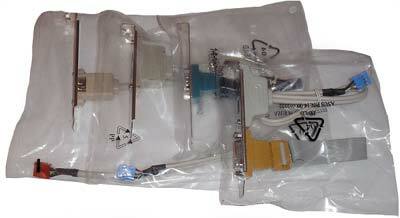 The box for A8N-E almost makes no difference from that of the previous model. Only the inscription identifies what is inside. Inside, the package bundle is more abundant! It contains even more than needed for a value system: four SATA cables and two power supply adapters thereto, two IDE UDMA 66/100 cables, and a cable to plug in a disk drive. 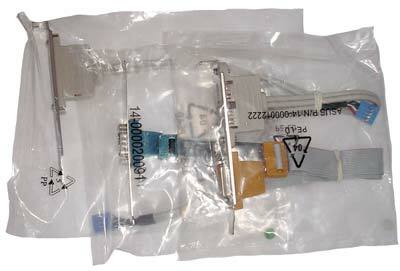 Besides, the bundle contains three additional panels of connectors: a strap for a COM port, a strap for two USB ports, and a combined one for two USB and a GAME port. The set of documentation is richer either. From the exterior side, the board is the same as A8N5X, with the only difference under the radiator - the nForce4 Ultra radiator. Let's try looking at that under the PCB from a bit different angle of view. 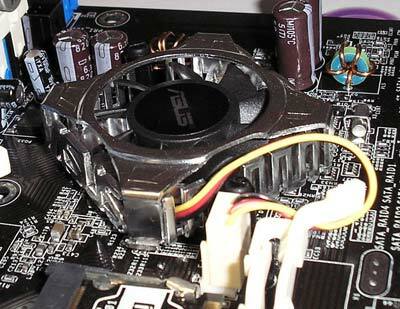 The chipset is cooled by absolutely the same ASUS cooler with a pretty fast fan. The power supply control module is also cooled by a radiator. 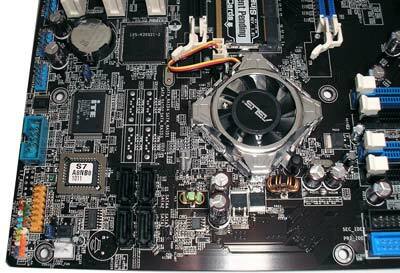 The board allows plugging in 5 fans although there are merely three vacant connectors because one is taken by the system of cooling the chipset and one (left on the photo) is meant to cool the processor. 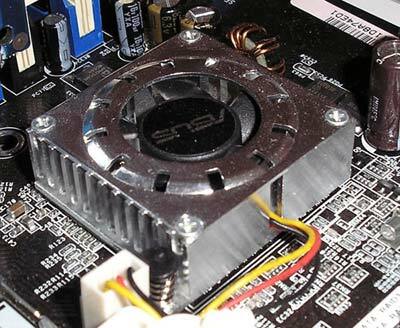 Having an additional connector for a fan in the upper part of the board may prove useful for those whose housing allows installing an additional fan on the upper cover. There is one issue with the PCB - connectors are piled all in one place. Here, all audio communications and a connector for plugging in the fan for the rear panel of the housing (to blow air out) are gathered. To facilitate using the settings in such an awkward spot, there are "handles" on the jumpers. Six more USB ports have been brought over to the bottom part of the board. In view of the package bundle and that almost all modern housings offer an integrated panel for input/output ports, the board provides plugging in over 8 USB ports. If that is not enough, you would have to buy a hub or an additional panel with ports, but for most users that is unlikely. 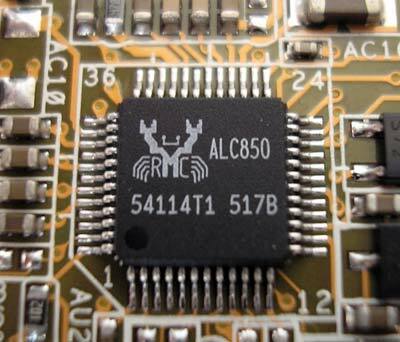 To use the sound, the ALC850 chip made by RealTek is used that allows playing back 8-channel audio. The panel of input/output ports again lacks a FireWire which is there only in the more expensive Deluxe version of the board. 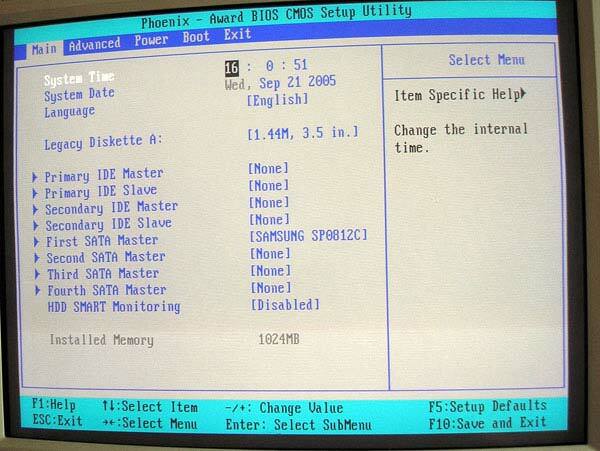 In the BIOS, it is also hard to find differences. 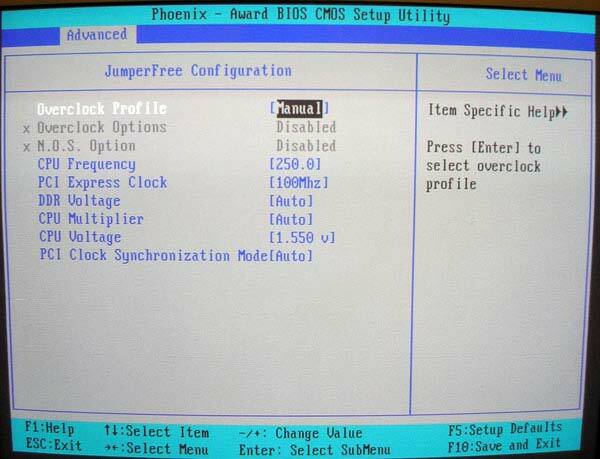 Unfortunately, the latest BIOS version failed to correctly launch overclocker-friendly memory modules by SPD, so we had to tune all the settings manually. 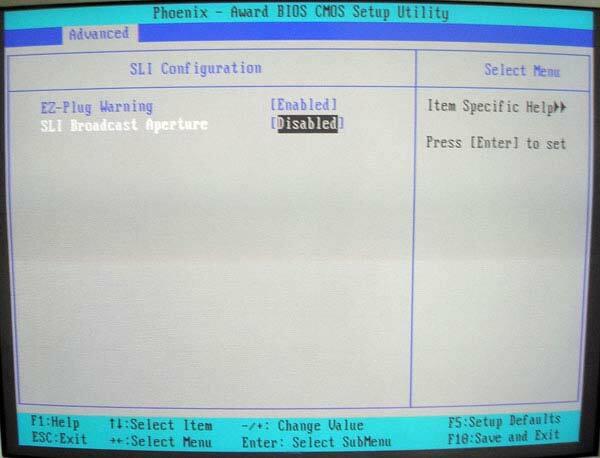 The section dealing with setting up integrated peripherals offers all the necessary options and is intuitive for most users without any documentation. 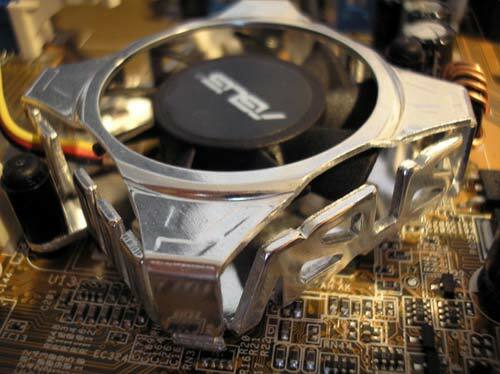 The overclocking options are the same as in A8N5X, and the overclocking capability hasn't changed either. The maximum result of stable operation is again 2500 MHz. This board offers more pluses than minuses. Pros: support for SATA II hard disks, hardware firewall, excellent package bundle, affordable price, good overclocking capability. 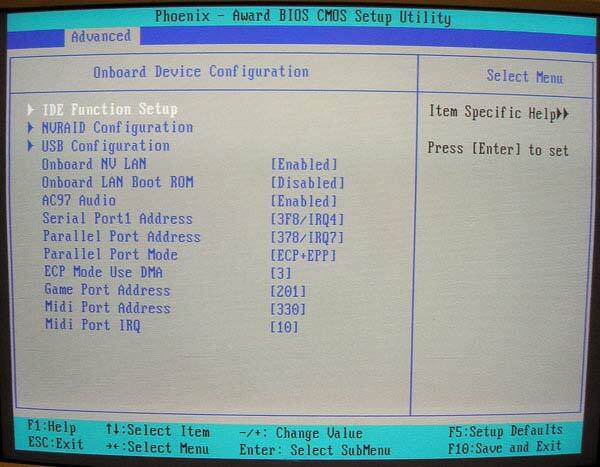 Cons: lack of IEEE 1394; if the controller were there, the board would be ideal for most users. You must be familiar with the Premium and Deluxe modifications of this board through previous reviews, so let's look through the lowest-end modification in this product line. The board also offers a renewed revision that stands out with quieter system for cooling the chipset, which can be called an important improvement. The exterior of the box hasn't changed - again the same AI Proactive Series design with the indication of model name in usual places. 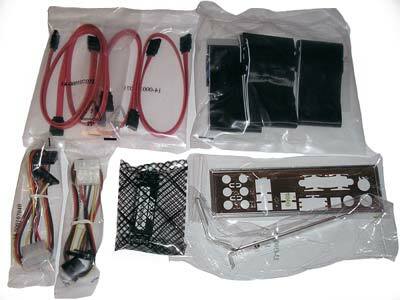 The package bundle is sufficient for most users: four cables for SATA disks and two power supply adapters with two connectors for each, two IDE UDMA 66/100 cables and a cable for plugging in a disk drive, a SLI connector, and a cap for the housing. 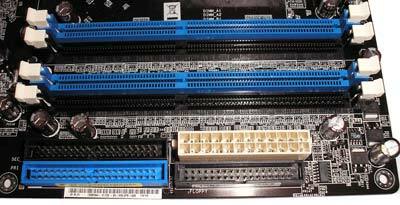 There are also panels for additional connectors: FireWare (IEEE1394) port, COM port, a panel for two USB ports, and a combined one for two USB plus a game port (MIDI). The volume of documentation is also impressive (for the cheapest board of the series). Of special joy is the colorful poster that demonstrates the growth of monsters through using two video cards in the SLI mode. On a separate insert, there are explanations on changes to the revision and a reminder of the package bundle (which should be checked). Upon the first glance at the board, differences from higher-end models are seen. The PCB has empty spots - one for unsoldered 4-channel SerialATARAID controller by Silicon Image Sil3114, the second LAN controller, and a voice controller for notification of errors. All the remaining is precisely as in the already examined models - convenient, compact, and carefully thought out. 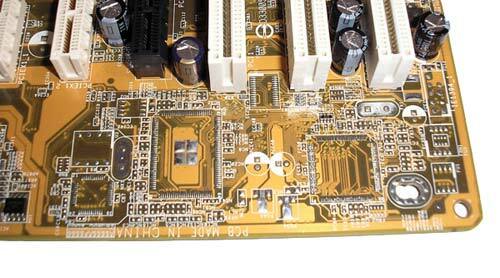 The system for cooling the power supply control module hasn't undergone changes. Here is one of the key components - a new decorative radiator and a fan of rotational speed 4500-5000 RPM (versus the old one of 8000-8500 rpm). As is seen distinctly, the number of SATA ports has turned twice as few, which will not upset much the mass user who has merely one-two hard disks. The connectors for installing memory has color distinction of channels, while the first two are positioned quite close to the PCI-Express 16x connector (with a full-length video card fitted in place, access to memory modules can be quite an issue). 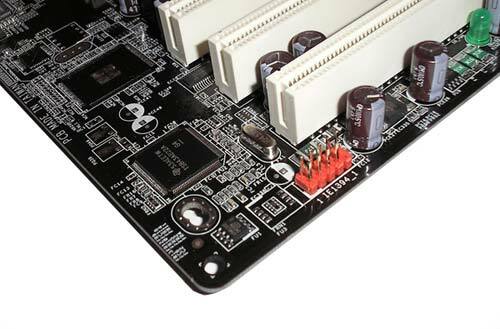 The connectors for plugging in IDE hard disks and a FDD are positioned conveniently on the board's edge. Expansion options of the board are almost the same as in the two above examined boards. The difference is only in the second "full-featured" PCI-Express 16x connector which should be there in it according to the ordinance. Behind the audio outputs, there is the same pile-up of connectors of the audio system expansion connectors: CD, AUX, and ones for plugging in the housing's audio panel. Also here is an additional connector to improve the system's power supply in case two video cards are installed in the system. On the panel of input/output ports there are no longer empty spots, because even on the simplest modification of the SLI series there is a FireWire controller. 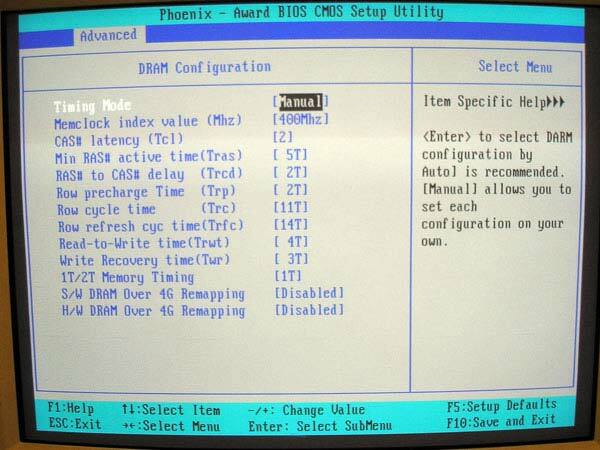 The BIOS is based on the Award Phoenix version. 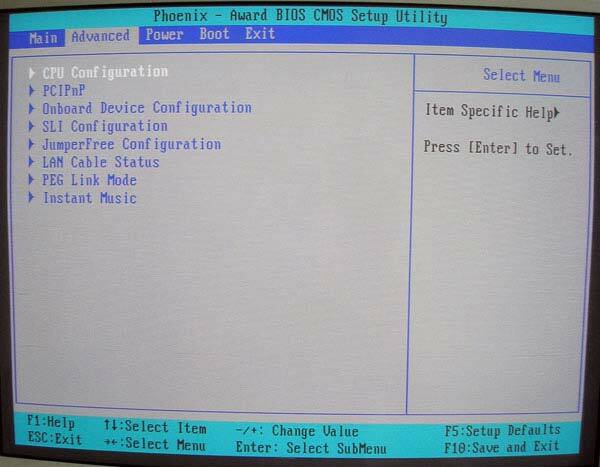 Of course it has some distinctions from the BIOS of higher-end models, but they relate to merely the section to do with peripherals controls. Compared to other boards examined today, the "Advanced" section has been complemented with another important item - "SLI Configuration". In this section, you can enable/disable the notifications in case you installed the second board but forgot about additional power supply, as well as change the SLI operation mode. The board does monitoring of the CPU core voltages as well as 12.3V and 3.3V lines, temperatures of the processor and the board itself, and rotational speeds of the fans cooling the processor, chipset and the first housing. 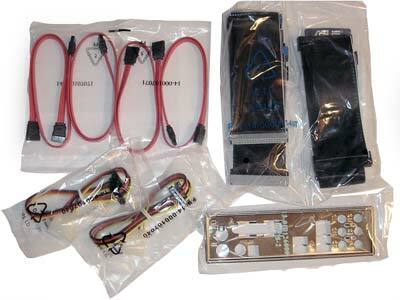 Adjust the CPU supply voltage within 0.800-1.550V in 0.0125V increments. But we were not pleased by the practical results. Athlon64 3200+ which installed on other boards was able overclocking successfully to 2500 MHz was running stably at merely 2350 MHz. At the same time, the memory turned out to be operating in the slowed down mode - 196 MHz (a bit lower than the nominal 200 MHz). We were desperately looking for a way to solve the problem, but no changes to the settings allowed to produce a better result. 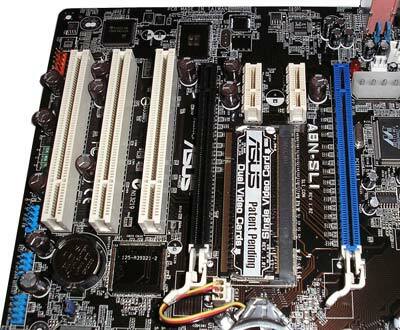 In search of the truth, we had to assemble a test-bench based on ASUS A8N-SLI Deluxe motherboard. The result proved lower than in other boards - a stable operation at 2450 MHz. … than the one on A8N-SLI Deluxe with a better radiator. We believe the difference is well seen on the photo. That's where there is a lack of a high radiator and a valid fan. The totals for the board are ambiguous. 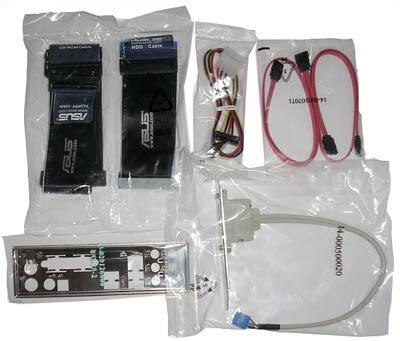 Pros: support for SATA II hard disks, hardware firewall, SLI configuration, excellent package bundle, reasonable price. Cons: modest overclocking capability, especially in the new revision. ... we made sure of that. There is no performance difference, all the deviations fall within the measurement error (the largest is seen in 3DMark 2001 SE). 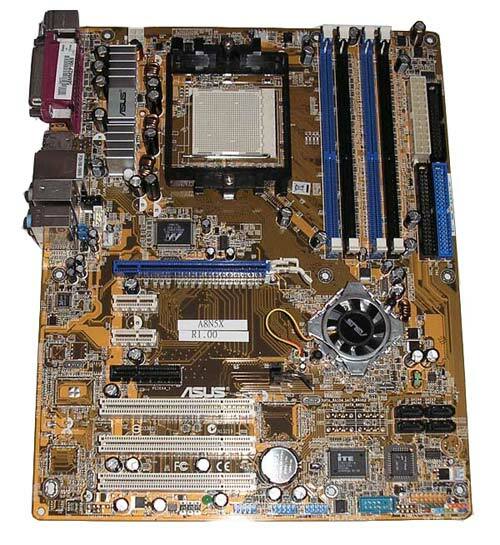 The selection of a motherboard built on the nForce4 chipset series should be based primarily on the demands of the buyer, availability of options, design philosophy, and the price. Only after that you should turn to the chipset. 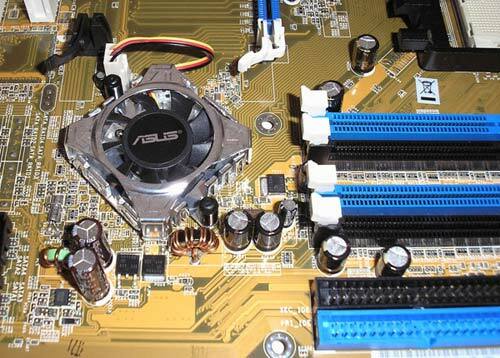 Once you have chosen a motherboard based on nForce4 SLI, you should carefully examine its system for cooling the chipset, especially if you are into overclocking. We appreciate AMD representation office in the Ukraine for Athlon 64 3800+ specimen and Corsair CMX512-3200XLPRO memory modules presented for tests. Генерация страницы: 0.158 с. Всего 8 запросов к базе.